We eat broccoli like 5-6 times a week. No seriously it is pretty much the only ‘green’ veggie (besides lettuce in salad form) Eric will eat. And eat it we do! With almost every.single.dinner as a side dish or mixed into the main entree. So needless to say there are a lot of broccoli recipes on this here blog. But I decided that it was time to shed some light on this magnificent veggie (Wow. I am shocked I can say that, and not that I am completely sick of it! 5-6 times a week here people.)! Below is an article I wrote quite a while ago (for meal planning/recipe site Food on the Table) all.about.broccoli. Also be sure and check out some drool worthy (yes, in fact broccoli *can* be drool worthy for all you broccoli haters) broccoli recipes at the bottom of this article. Looking to add a boost of vitamins and nutrients to your diet? Well look no further than broccoli! 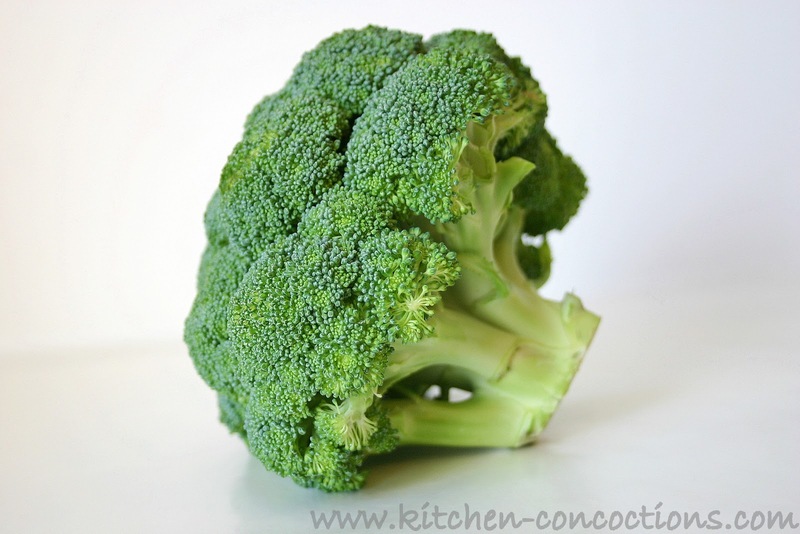 Broccoli belongs to the cruciferous family, or cabbage family of vegetables. 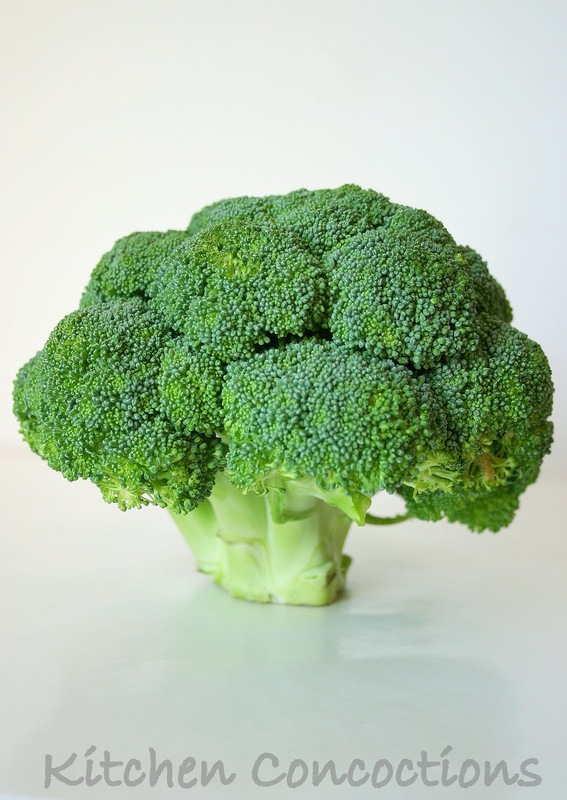 Other vegetables related to broccoli include broccolini, which is a cross between broccoli and kale, and broccoflower, a cross between broccoli and cauliflower. Broccoli is one of the healthiest foods available and has been shown to fight diseases and cancer. It is full of vitamins and nutrients, such as, Vitamins A, C, B6 and E. It is abundant in calcium, folic acid, phosphorus, potassium, magnesium, glutathione, beta carotene, and lutein. Broccoli is also full of fiber, containing approximately 9% of the daily recommended value per serving. 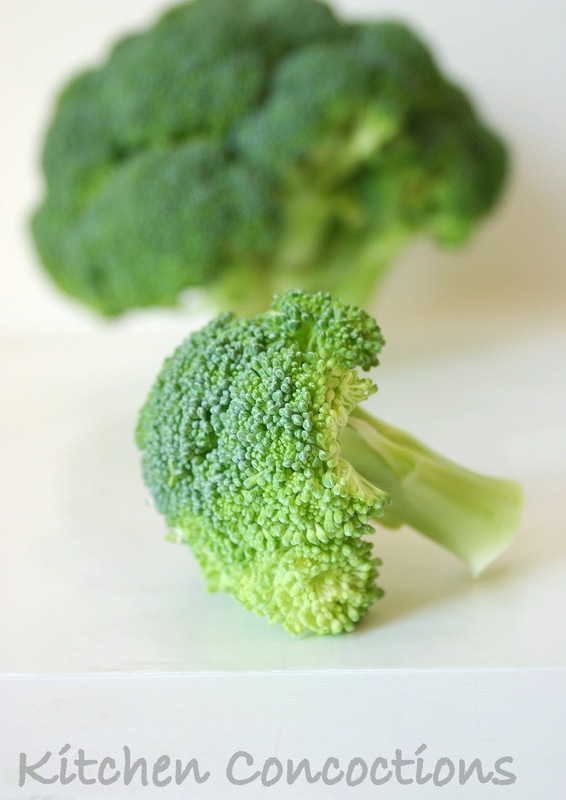 Broccoli is a low fat, low calorie food; containing only 30 calories for every half cup serving. Broccoli is one of the few vegetables that is grown and available year round, but is at its peak from October through April. It is also one of the least expensive vegetables to purchase. When purchasing broccoli from your local grocery store, look for bunches that are dark green in color, which indicates high nutrient value. Also look for bunches with stalks that are very firm, because stalks that bend easily or seem rubbery are not good quality. Broccoli should be stored dry in an open plastic bag in the refrigerator for up to four days. To preserve the most nutrients in broccoli, it should be eaten raw or steamed. Broccoli can also be roasted, boiled or sautéed, however, due to these direct heat cooking processes some of the nutritional value will be lost. Whether a quick snack, easy side dish, or last minute addition to a salad or entree, broccoli should be included in your weekly meal plan and eaten several times a week. So broccoli is also one of the only veggies my daugter will eat, too – although we don't have it 5-6 times a week. I think I need to up that now, though! !